If you want a funky biker look but in celebrity style must grab this Aubrey Drake replica jacket. 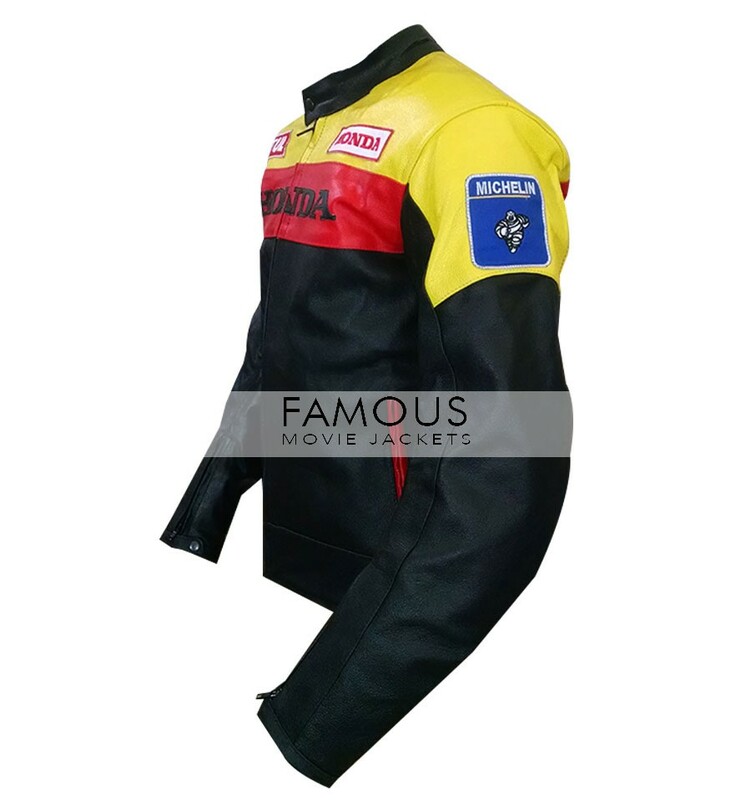 This jacket is made of real leather with viscose lining. The Drake jacket has snap tab round collar, front YKK branded zip closure, two waistline pockets and full sleeves with zipper cuffs. 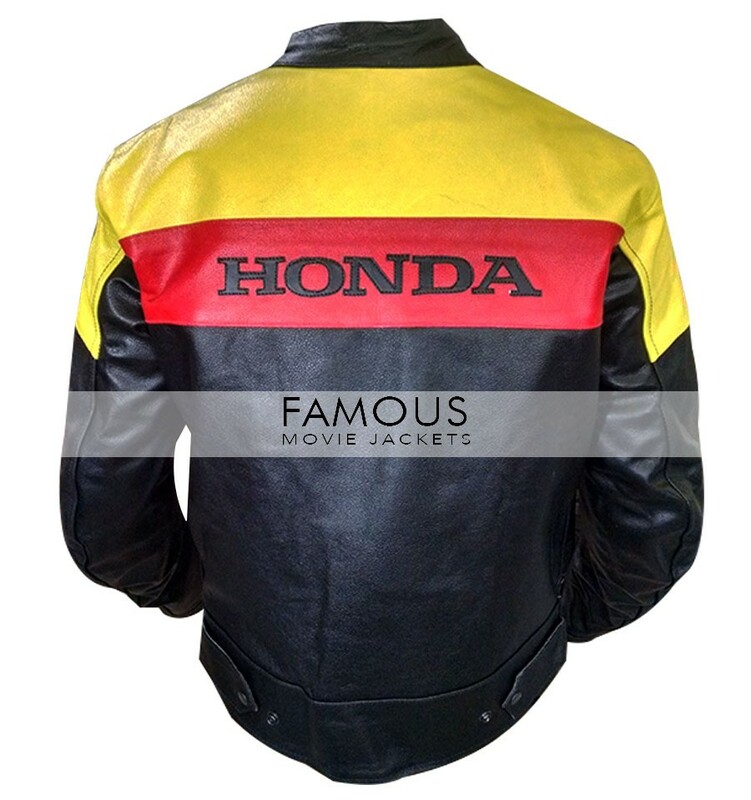 This Honda jacket goes best with fitted black or white inner and leather pants or jeans. 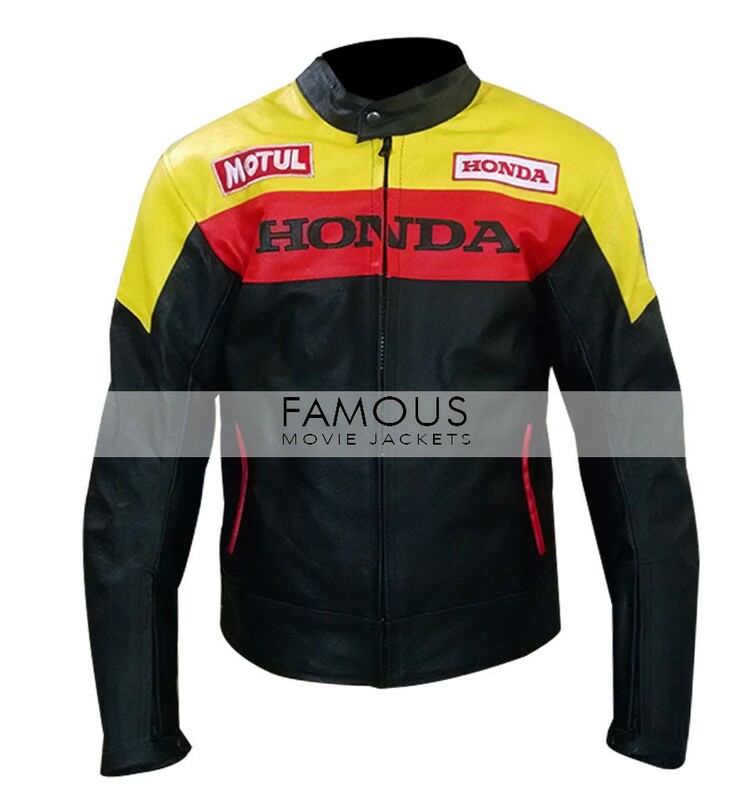 So, grab Aubrey Drake Graham Honda Biker Leather Jacket this stylish motorcycle jacket. I’m from France I received my parcel in a week after placing the order so I was really surprised. What a pleasure when i opened it. Followed the size chart and it fits perfectly. The materials are perfect. The jacket and product quality that I ordered has been marvelous. I found it as same original. It is bit fitted but doesn’t look bad. Overall it is perfect.